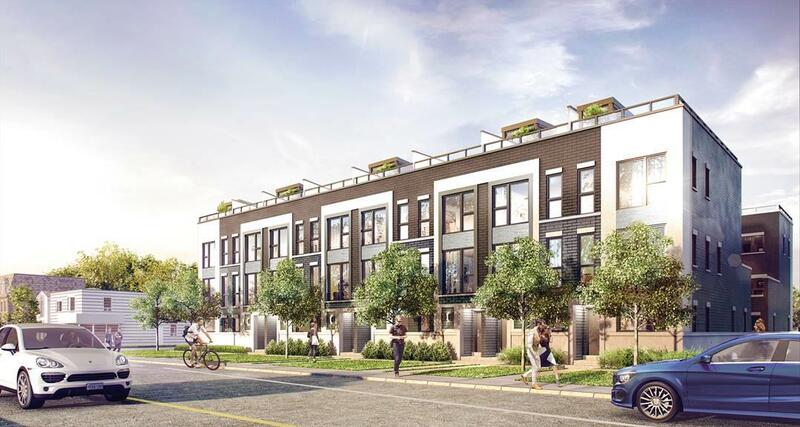 Welcome to SIX8PLUS, a contemporary Royal York development of only 14 Freehold townhomes backing onto lush parklands. 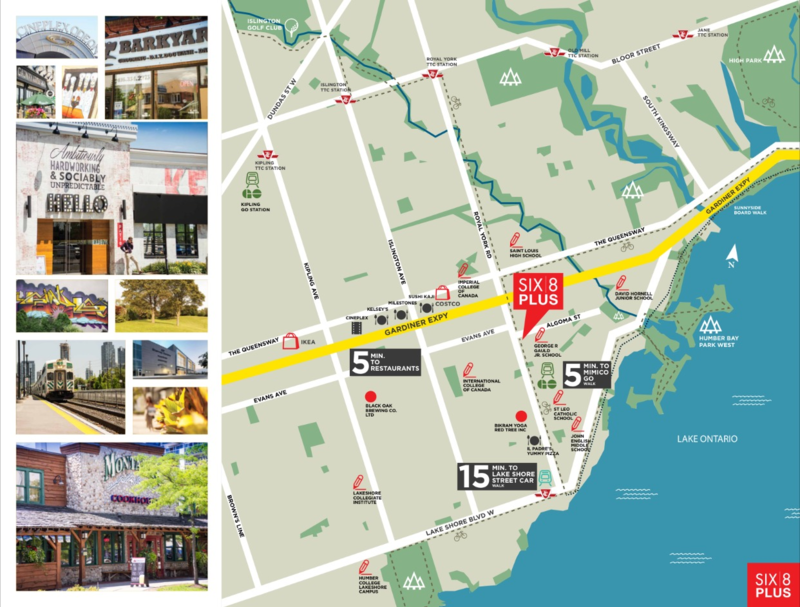 Here you’re only a 5 minute walk to the Mimico GO Station and just as close to the Royal York Subway Station. At SIX8PLUS, you're only a block from the Gardiner Expressway, minutes to the shops of Sherway Gardens or the Queensway Shopping District. Bike, walk, TTC, drive or GO, SIX8PLUS connects you to it all. Your new home offers the design and space you require. With spectacular multi level plans, we have the designs that will complement your lifestyle. SIX8PLUS is an exclusive community to call home. 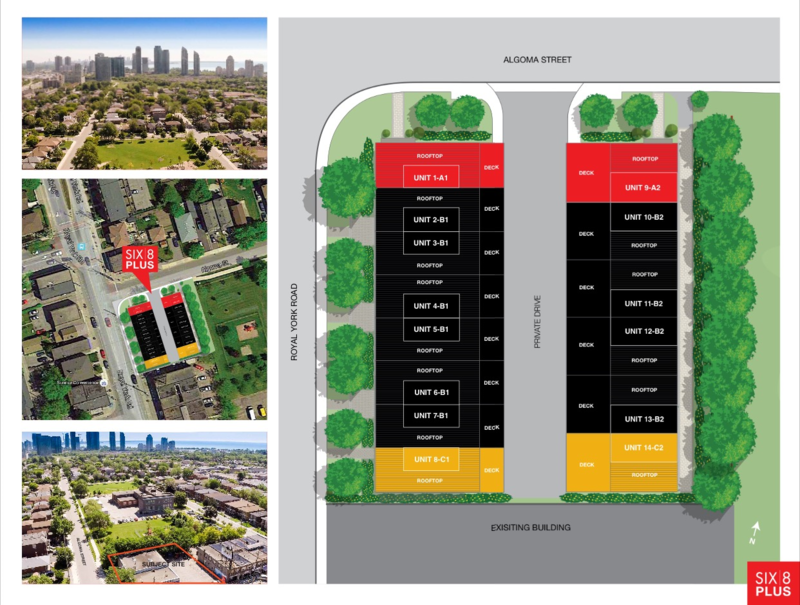 Backing onto existing well established Etobicoke neighbourhoods SIX8PLUS features only 14 townhomes each offering private parking and 2 separate outdoor areas. 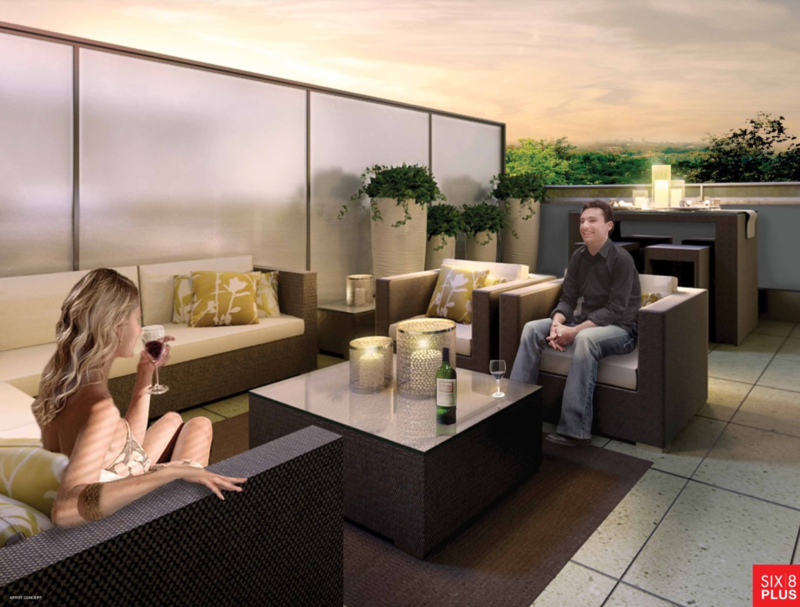 Handsomely landscaped and intimate in size, this is where you want to live! 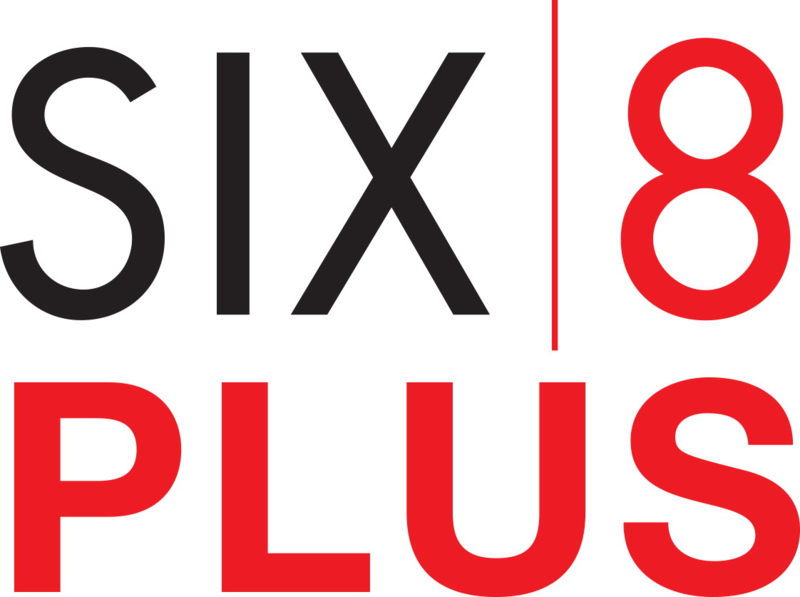 SIX8PLUS is at the centre of a vibrant urban neighbourhood that offers an abundance of area amenities. Only a five minute walk to the Mimico GO Station. Walk or bike the nearby Lakeshore West Trail or find your area’s local markets, unique cafes, bakeries and an eclectic mix of restaurants. Nearby schools are conveniently located. A shopper’s paradise nearby includes the newly expanded Sherway Gardens, the Queensway Shopping district and Bloor West Village. 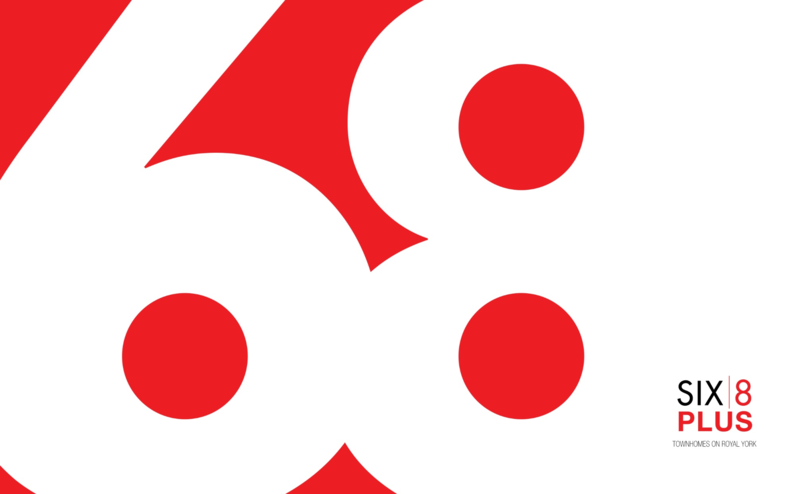 SIX8PLUS this is where you want to be! 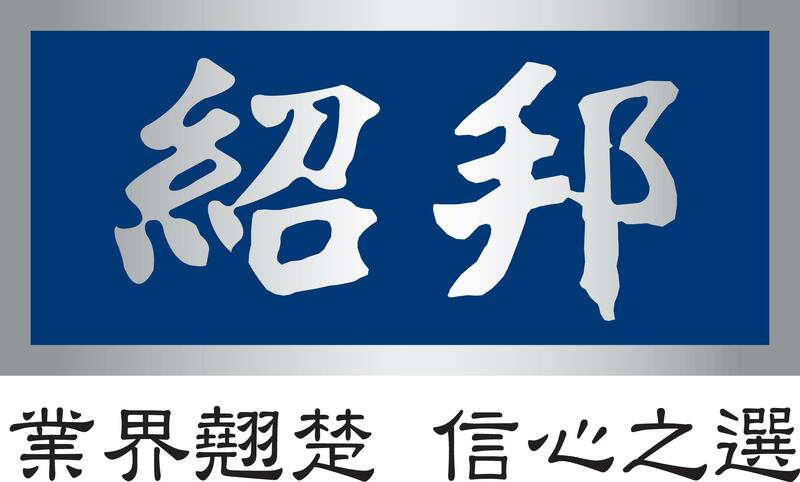 With its origins in Hong Kong, the Shiu Pong Group developed its first project in 1957 and went on to develop significant commercial properties and residential condominiums in Hong Kong, Taiwan and Thailand. 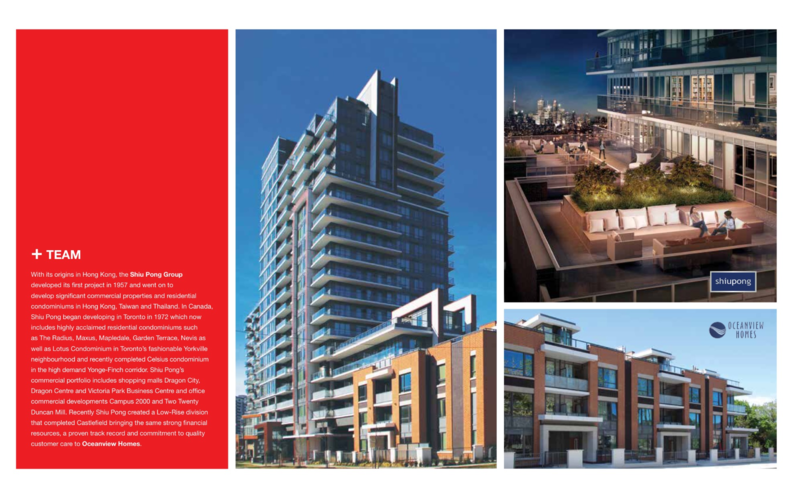 In Canada, Shiu Pong began developing in Toronto in 1972 which now includes highly acclaimed residential condominiums such as The Radius, Maxus, Mapledale, Garden Terrace, Nevis as well as Lotus Condominium in Toronto’s fashionable Yorkville neighbourhood and recently completed Celsius condominium in the high demand Yonge-Finch corridor. Shiu Pong’s comemrcial portfolio includes shopping malls Dragon City, Dragon Centre and Victoria Park Business Centre and office commercial developments Campus 2000 and Two Twenty Duncan Mill. 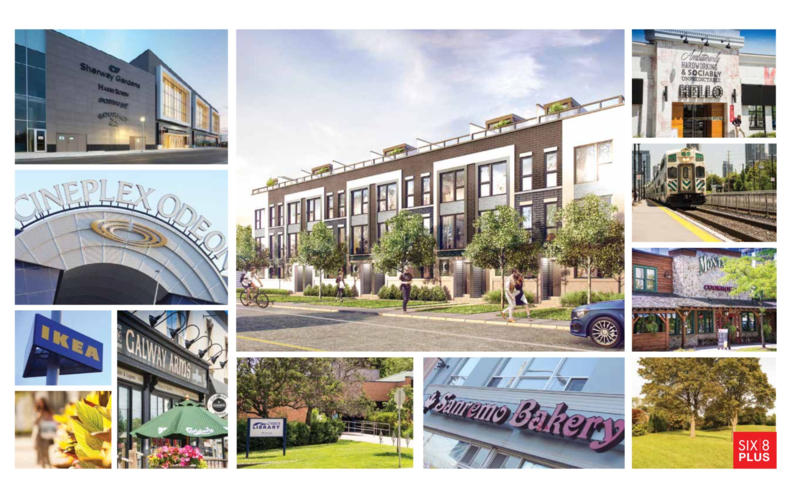 Recently Shiu Pong created a Low-Rise division that completed Castlefield bringing the same strong financial resources, a proven track record and commitment to quality customer care to Oceanview Homes. 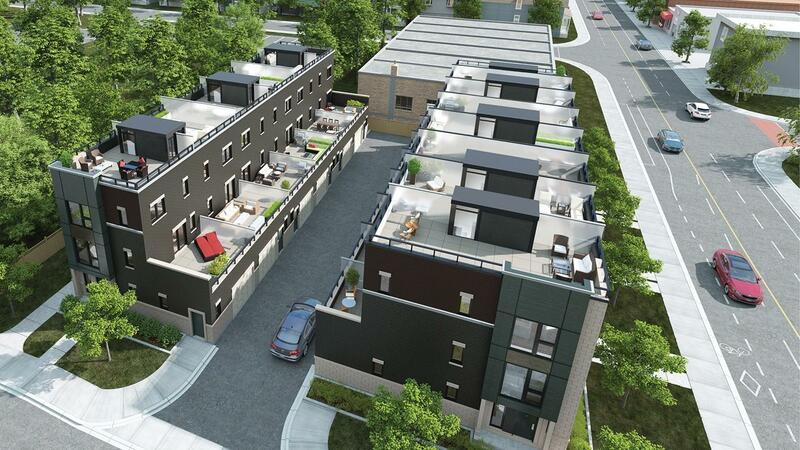 Architecturally controlled and selected exterior elevations and colour packages. Unique and innovative elevations utilizing genuine clay brick with coordinating coloured mortar, stone, precast and various exterior accent features. Low maintenance aluminum soffit, fascia, eavestrough, and downspouts, as per elevation. Energy Star rated low maintenance Low E Argon filled vinyl-clad casement windows and sliding doors, as per plan. Colours as per Vendor’s pre-determined colour schemes. Screens on all operational windows. Exterior front door with satin nickel package including grip set and dead bolt. Distinctively modern exterior lighting at front entry area, as per plan. Cedar wood deck on decks. Gas barbeque rough-in connection provided on deck. Professionally graded and landscaped grounds with greenspace. Main Living level (2nd floor) - 9’, 1st & 3rd levels - 8’. Solid oak stairs and handrails with 1 3/4” spindles on oak nosing, in a natural finish, as per applicable plan. Painted 800 series 6-panels Colonial style interior doors, as per plan. 2” casing for all windows/doors and 5” baseboards (sizing is approximate). All interior door hardware to be levers in a brushed satin with painted hinges. Granite countertops as per plan from Vendor’s standard samples. Ceramic tiled backsplash from Vendor’s standard samples. Stainless steel kitchen sink with single lever faucet, as per plan. Over the range microwave hood. Electrical outlets for refrigerator and at counter level for small appliances. Designer cabinetry selected from Vendor’s standard samples. White bathroom fixtures in ensuite, main bath and powder rooms as per plan. Contemporary designed white vanity cabinets with decorative light fixtures. White cultured marble countertop with integrated contemporary washbasin and single lever faucet as per plan. Choice of decorator ceramic tiles for walls in tub enclosures from Vendor’s standard samples. Full height water resistant backer board in tub enclosures. Single lever faucet in all vanities and tubs, as per plan. Laundry area with connections for water and drain. Heavy-duty receptacle with vent to the exterior for the dryer. Full size white washer and dryer from Vendor’s standard package. 100 AMP electrical service with breaker panel and copper wiring throughout. Living and dining rooms to have capped ceiling light rough-in. All bedrooms to have a switch controlled ceiling light fixture. Smoke detectors provided as per Ontario Building Code. Carbon monoxide detector provided as per Ontario Building Code. All bathroom electrical duplex receptacles protected by ground fault interrupter. Arc-Fault receptacles in bedrooms as per Ontario Building Code. Electric door chime at main door entry. Rough-in two separate locations Category 5 telecommunication cable. Locations to be determined by Vendor. Rough-in two separate locations RG6 Digital TV coaxial cables. Locations to be determind by Vendor. Insulated entry door and high quality weather stripping as per plan. Exterior wall and roof insulation to meet or exceed current Building Code. Purchaser to have choice of 1 paint colour throughout from Vendor’s samples in an environmentally friendly low VOC washable flat finish. All trim and doors to be painted white with semi-gloss finish. White smooth ceiling in kitchen/bathrooms. Stippled ceiling in living/dining/bedrooms. and dining rooms, kitchen, bedrooms and hallways as per plan from Vendor’s standard samples. Ceramic flooring in all bathrooms and Penthouse hallways from Vendor’s standard samples, as per plan. Acoustically engineered demising walls between all units, where applicable. Tongue and groove subfloor sheathing, screwed and glued to engineered floor joists. Windows and exterior doors fully sealed with high quality caulking. Quality 2”x6” exterior wood frame construction. Railings installed as per plan. All warranties are in accordance with the regulations of Ontario New Home Warranty Program (TARION) for Townhome units.